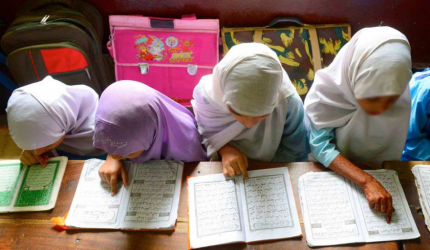 A recent UP gov’t order makes a person with two or more wives not eligible to apply for Urdu teacher positions. Also, female candidates who are married to a man who has two wives, both living, would also be considered non-eligible. So the minister quoted the reason for this: “This has been done to remove confusion as to who should be the beneficiary in the case of the employee’s death,” The UP govt official also said “the order applied equally to all staff, whether they are teachers of Urdu or another subject. The reason for this is to avoid confusion in the distribution of pension.” So you decide if any of this makes sense? The Muslim Personal Law Board does not like this and has come up with its solution..